In an era that is rapidly searching for earth-friendly alternatives, gift your customers the natural cotton canvas tote bag that they can proudly sport, whenever they step out. 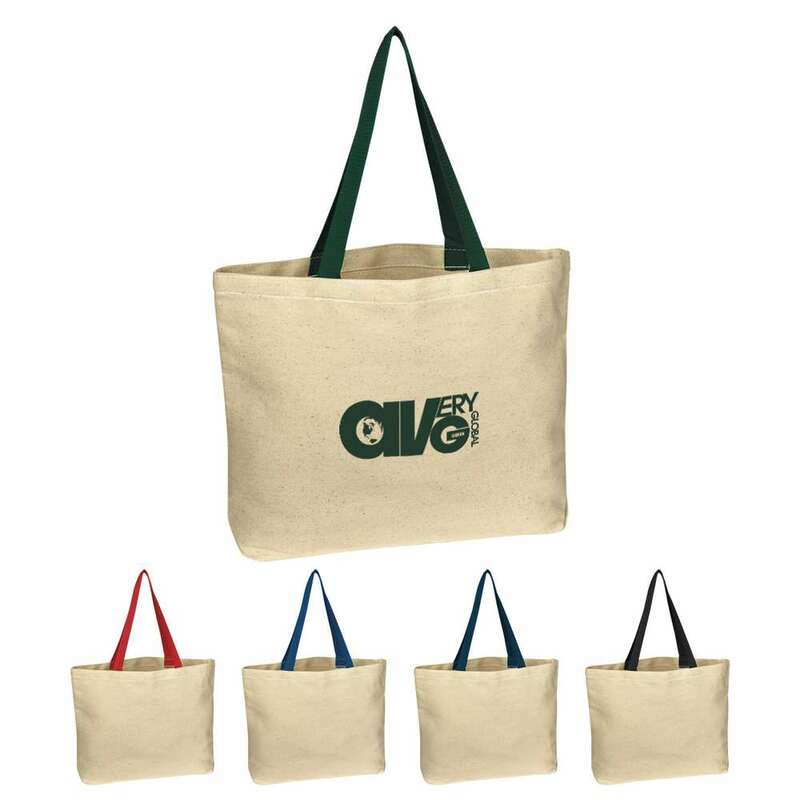 Screen print your brand’s logo on the cotton tote and promote environmentally friendly policies of your company. In an era that is rapidly searching for earth-friendly alternatives, gift your customers the natural cotton canvas tote bag that they can proudly sport, whenever they step out. 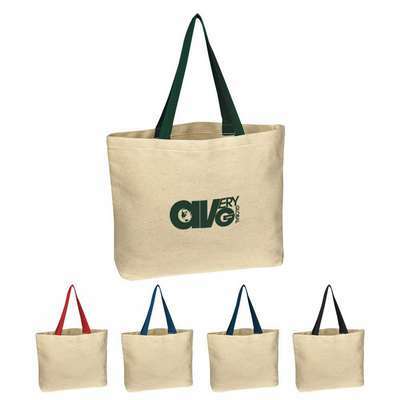 Screen print your brand’s logo on the cotton tote and promote environmentally friendly policies of your company. The tote has a simple design and is made from 8 oz. cotton canvas. The 20” handles makes it easy to carry around, while clearly displaying your logo and advertising your brand to the onlookers. The cotton tote makes it a perfect giveaway at schools, colleges, offices, seminars, conventions, and trade fairs. Bundle other promotional items in the tote for increased brand visibility.